Exercise does make one happier than money, but only if one has both. I agree, or as I’ve always thought, “Money can’t buy happiness but it can make happy people happier”. Only people who have never been poor or have always had plenty of money will say money isn’t important. And it is a pet peeve of mine when I hear the very wealthy say money is not that important. If you really believe that, then give it all away to people who can use it to house and feed themselves. I agree. When I didn’t have enough money I got plenty of exercise (cheaper than driving, etc) but it was very stressful to not know how we were going to get through the day. Having a modest amount of both is the happiest I’ve ever been. Not if you’ve been trained to love money since the day you were born. 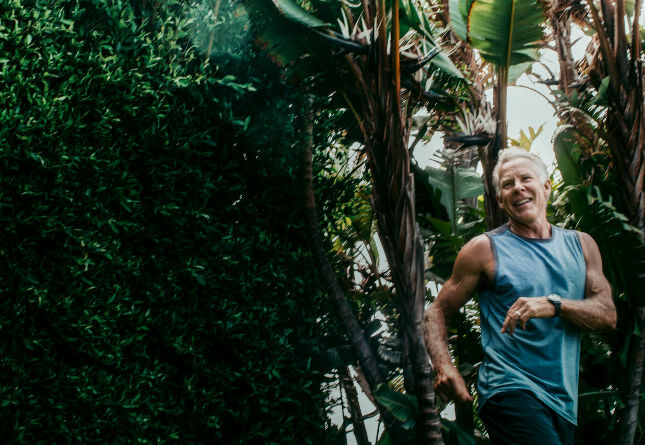 What about spending money to open up gyms like Robb Wolf does – and seeing people improve their lives on your dime? Okay generally speaking you’re probably right, lol. The guy who took “too much” vitamin D was getting 8,000-12,000IU per day. Sounds to me like he wasn’t taking vitamin K to direct the calcium where to go. I consider that something of a BS article that raises more questions than it answers. There must have been something else going on with that guy. There are a few people who can’t handle much D. Or maybe he was lying about how much he was actually taking. I take 8,000 IU. of D3 almost daily and have done so for years, except in the summer when I get more sun. My blood level is always around 50 to 60 ng/ml, which isn’t considered too high at all. (200 ng/ml is too high.) It does get depleted by the body quite rapidly. An MD once told me it’s almost impossible to overdose on vitamin D3. You would need to take more like 40,000 to 50,000 units a day for months. I don’t take vitamin K, by the way. It isn’t necessary if you eat a lot of leafy green veggies. actually the k in green veggies just one form, K1, and that is not responsible for directing calcium. I think the K2, menaquinones are the form you get from your gut microbiome and certain foods like natto. search the archives, Mark has written about it. Yes vitamin K2 is essential. I’ve been fluoride free for over six years now and my teeth have never been healthier. It’s the vitamin K2 in all of the grass fed dairy. That study (when followed to the source), found that PUFAs had a “cardio-protective effect”. I’m sure that many people love podcast, of which there seem to be more and more here. I do not like podcasts and do not listen to them. Just saying. I have stopped eating cashews until I can find and afford ones that don’t harm workers. Agreed! However, I’d rather be staff of someone who is not a micromanager….. I love cats! OK! No more icing. I’ll just spread lard on my cakes. I’m not sure on the “money vs exercise happiness” topic. My family and I’ve been poor my whole life, always living off foodstamps and Medicaid while not having much or any income except from child support til I turned 18 and then it was just the foodstamps. I always dreamed of having large sums of money, and there were times, especially in my teenage years, when we survived on very little and spent half of each month living off of ramen. I can say every time I have received money I have been temporarily happier. But I’ve never had a steady and plenty supply of money and if you have ever had 2 toddlers with foodstamps, you’d know how hard it is to buy enough food each month. Especially primal food. So I can’t really say whether exercise or money would create more happiness. I feel like I would be happier without the obsessive budgeting for food every month and being able to buy all the healthy food I want. I’ve also had a long term problem with depression. I think I agree with the person below. Both would probably make me quite happy. I have lived barely above poverty and bike commuted everywhere out of necessity. Now I have enough money to enjoy CrossFit, skiing, hiking, yoga, and more. In both cases, exercise has been ample and foundational to my well-being, but I prefer now since I no longer have to pedal my bike long distances in cold weather with a trailer to get a load from a food bank so my family and I can eat. Exercise is playful now because I can afford for it to be playful. Any relationship, or lack thereof, between money, exercise, and happiness will depend on the context of the particular society, such as post-industrial. In true hunter-gatherer societies there is no wealth, no poverty, and plenty of exercise. From what I’ve read, ethnographers report general happiness among individuals in H-G societies, and certainly little chronic stress, depression, or anxiety. Thus, wealth and poverty and the effects they they have can be considered conditions of evolutionary mismatch. great food, easy food, primal food, good score. Agree on Peruvian ceviche – much better than Mexican versions. Only thing better – Ecuadorian ceviche… very similar ingredients, but best I’ve ever had (admittedly, it was home made – by a friend, not from a resturant). Dont no what made it better – still pestering friends mom for recipe. I will always drink beer. In Minnesota there are so many fun micro-brews, so many good beers, and so many fun breweries to go to. As long as I only have 1 or 2 once or twice a week it does not bother me too much. If I eat really well (steak and salad), get a good workout in, and stick to two beers it does not seem to be too much of a bother. And like I said there are just so many fun beers to try now! The ceviche I had in Tulum had to be minutes to hours long. It was so fresh! Sometimes I eat blue corn chips with my guacamole. They are my one “cheat” food. At least they are organic and Non GMO. The crisp and the salt just go so well with the creamy avocado. I’d be more worried about the kind of oil they fry them in. Mark, good morning….Miami, that is interesting and what a difference from Oxnard! I moved to Miami from West Palm 4 years ago, mostly due to Biscayne Bay and the great sailing. I live on my cat here in Coconut Grove and it would be great to meet you guys sometime! I live in S. Fl too. Can you recommend your favorite Peruvian restaurants? Maybe I’ll take a drive. Hi Mark! You should try Tahitian ceviche!! Besides lime juice, red onions a little garlic and grated ginger, it is marinated in coconut milk! Topped with some jalapeño, cilantro and macadamia nut….the best!! Btw. You are my favorite blog!! And I don’t know why I’ve been shy to post a reply before…but here it is! I’m with you on Peruvian food! I’d never tried it until this summer… my first experience was in Valencia in fact…and I was obsessed! They have a fabulous fruit called Lucuma, which they use for desserts. I absolutely recommend trying lucuma, too if you get a chance! My husband is from the Caribbean in Colombia (Cartagena), and their food is quite delicious as well…but not until I’d tried Peruvian food, did I decide that took first place, even over the delicious coconut-flavored Caribbean dishes. Peanuts, because I like them. And added a small serving of Canal Street Lentils recipe for carbs (not many) because I wanted more carbs but not potatoes or more fruit. I also love the flexibility that this way of eating offers. Tamales have become a tradition that my kids and I make together at the holidays. I just make sure that I buy organic masa to avoid including a side order of Round Up and know that 95% of my other meals are lower carb. I. Enjoy reading your posts. I am a moderation in all things type eater. More of the things that are healthier for me and just less of the things that may not be quite as healthy. Like you, I would eat the corn and sweet potato, enjoy completely, and relish the experience . Mark, I’m not a daily follower of you blog, so I missed this if you address it before – what made you move from Malibu to Miami? Well, said Mark ( Peruvian ceviche article)! Couldn’t agree more. This stuff scares me. Read your Sunday Session. Live in Southern Florida and love Peruvian ceviche. Where have you eaten? I live a little north in the Ft Lauderdale but go to Miami regularly. I use bone broth in place of water, sub gluten free flour mix (which is mostly sorghum and rice flour) Getting mountain yam is easy around me at Asian grocery. I can also find pickled ginger with no food dyes. I skip the okonomiyaki sauce and garnish with avocado mayo, bonito flakes, and shichimi powder with extra nori seaweed. It is delicious! Are you saying that the larger corn like food such as hominy is not related to the smaller yellow corn kernels? I avoid wheat and corn for allergy reasons but really miss my corn grits with my hog belly. Hi everyone, please be informed that most fish and uncooked seafood contain parasites that can and will survive in your intestines and cause malaise and disease. So, to be sure eat it well cooked and keep your digestive system healthy. Parasites do not present a health concern in thoroughly cooked fish. Parasites become a concern when consumers eat raw or lightly preserved fish such as sashimi, sushi, ceviche, and gravlax. Google it yourself…. Try Ecuadorian ceviche with chocho’s. Hi Mark, popping over from the Sunday email. Wanted first to say thank-you for continuing to include those on a carnivore diet. I love the sound of the dish you and Carrie had, and like you I would have just eaten it and enjoyed it, and if I felt no funny effects from it over the next twelve hours I would tick it up for a win and gone back to my home-cooked carnivore meals … until next time. I lean into carnivore because I like meat a lot, and it helps with my very strong carb cravings. Also I’m pre-diabetic and it helps me to not tip over the line in the sand which I’m standing very close to. Watch out for mercury content of local fish (Hawaii). Naturally occurring source of mercury – the volcano. Do you know how much you can ingest before the body cannot clear itself of the mercury? I I initially started Primal eating/ketogenic diet for weight loss. I started eating this way in May 2018, and I’ve lost 82 lbs. now that I’m around the weight that I feel is goos for me, I’ve started to realize that I can eat things that I used to think were off limits because the beauty of this way of eating is the “give and take” behind it, what you refer to as metabolic flexibility. Until recently, I was paranoid that I’d gain the weight back if I added some carbs back. I’ve since proven to myself that I truly have achieved metabolic flexibility after going on vacation for a week. I gave myself permission to eat foods with a higher carb content. I did gain a couple of pounds that week. I freaked out and panicked. Then I reminded myself that I now have the key to maintaining an equilibrium. So, I restricted my carbs for the following week (<50) and my weight went back to its prevacation number. My point is that if you are eating primal/keto for fat loss, yes, you may want to be more strict about carbs until you reach your goal. For me, I was tired of carrying the extra weight, and I wanted it off as quickly it would come off. I was on a roll, so to speak, and didn’t want to stall my success. However, now that I’m eating this way to maintain my weight and the health benefits, I have slowly realized that it truly is about the flexibility, the give and take. My anxiety about gaining the weight back is gone because with this beautiful “formula,” I know I have control over my body. Your book was life changing for me. Thank you for sharing your knowledge with us all. Much love to you. So much for PUFA paranoia…. Another amazing edition thank you ! Can I just as you why MARKS DAILY APPLE PODCAST has stopped covering the nutrition and supplements side? It’s just keto keto keto! I used to look forward to the ten minute posts about good and bad fats, joint and bone health etc. Please bring back the general informative podcasts. Can you do more on the subjects you cover on your blog please or do a podcast version in addition? The ten minute gems used to keep me motivated on my treadmill ( barefoot of course!) . Thank you . Your advice and guidance has. been truly life changing.